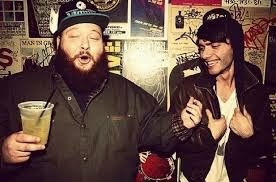 If there is one project to look forward to later this week it's Action Bronson and Party Supplies Blue Chips 2 mixtape. Until that November 2nd release date, Bronson unleashed a track from the tape called "Practice." If this track is any inclination to this tape, then we are in for a real treat this weekend. In case you missed the first tape though, make sure you check that out here.